Eye care professionals understand the human eye and can help you with the treatment or diagnosis of diseases or conditions that affect the eye. 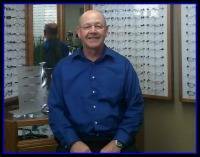 Eye doctors know how age and medical issues can affect your vision. They understand all the benefits of corrective glasses, or contact lenses.